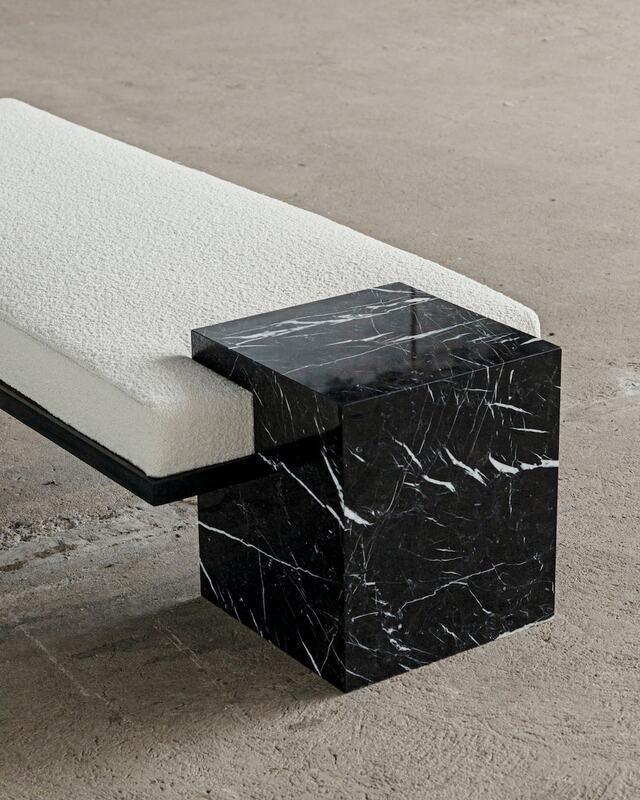 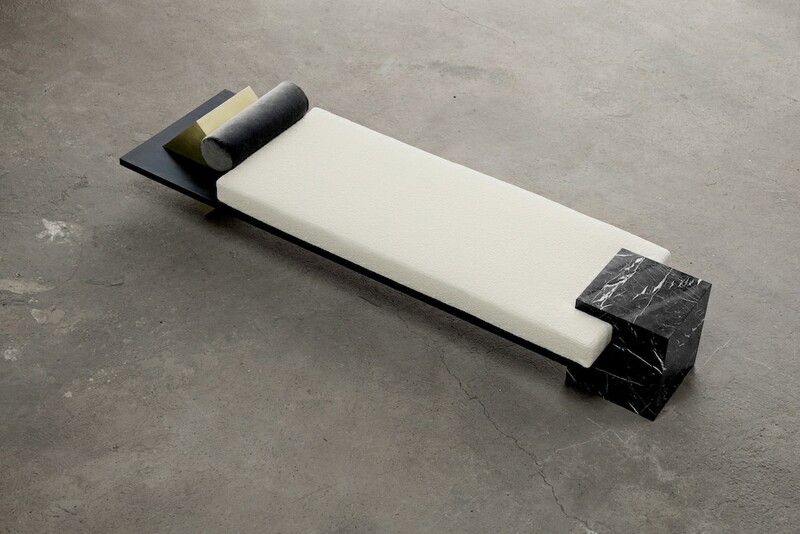 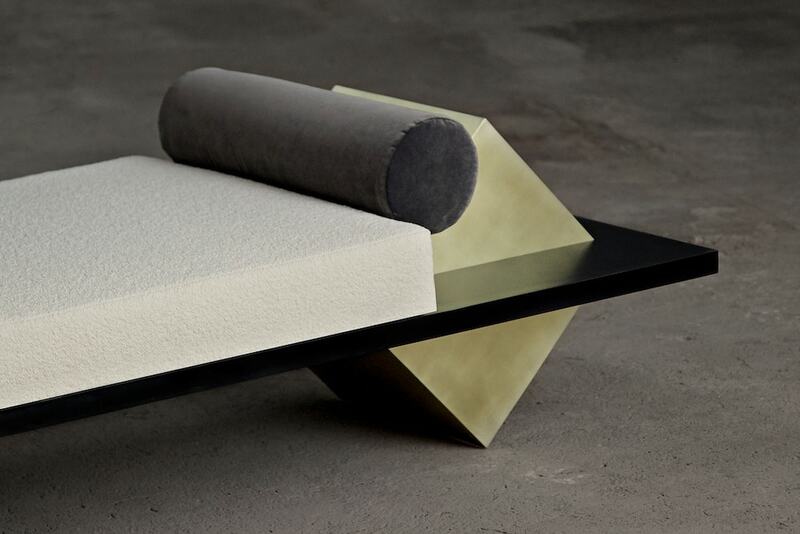 The Coexist Daybed consists of a black steel frame, with a brass cube at one end, and a nero marquina marble cube at the other end holding the frame in place. 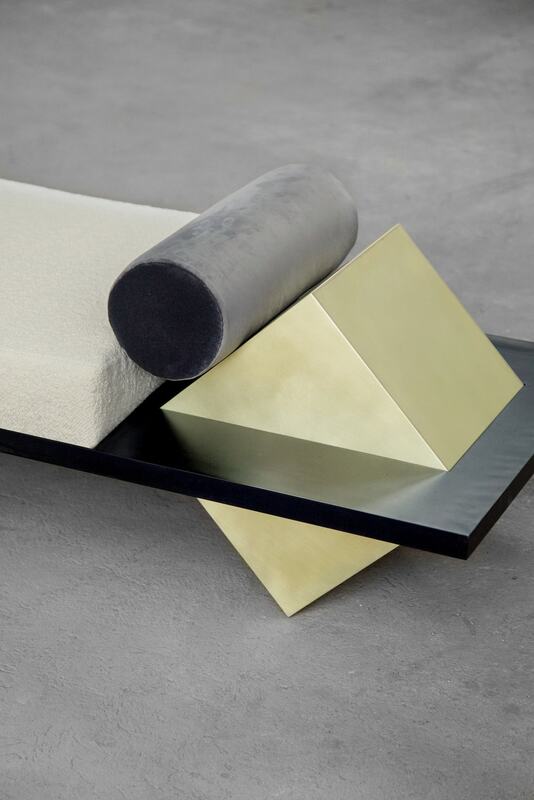 Using balance and delicate harmony of materials meeting, the piece holds space in suspension through the daring move that turns the brass cube on its finest edge. 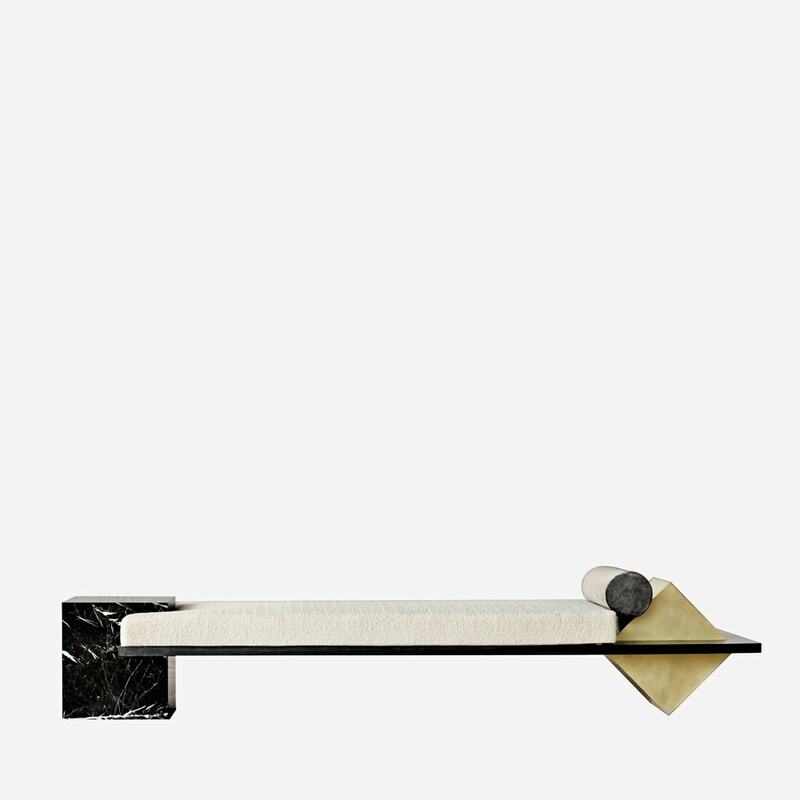 The pieces fit together seamlessly, with the marble cube holding up one end of the piece, and the brass cube notched into place on its knife edge in suspension. 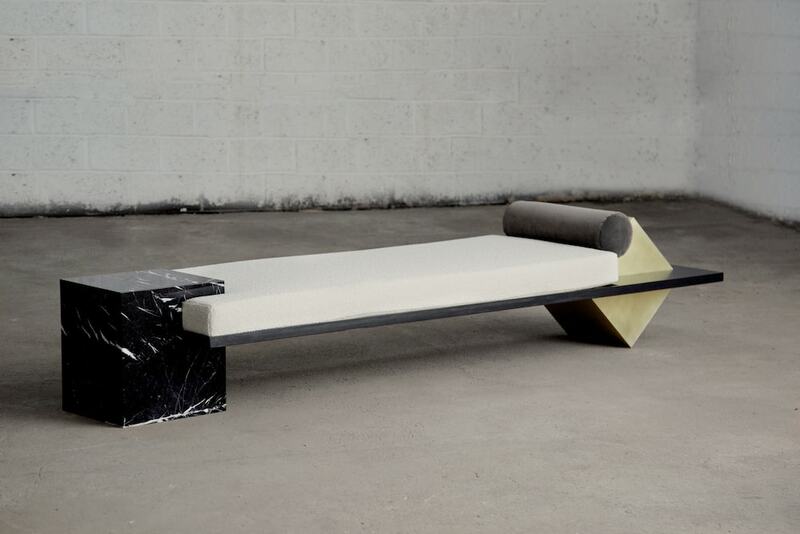 There is no hardware used to hold the piece together, rather precision fitting and engineering allows for the parts to rely upon one another to exist - hence Coexist. 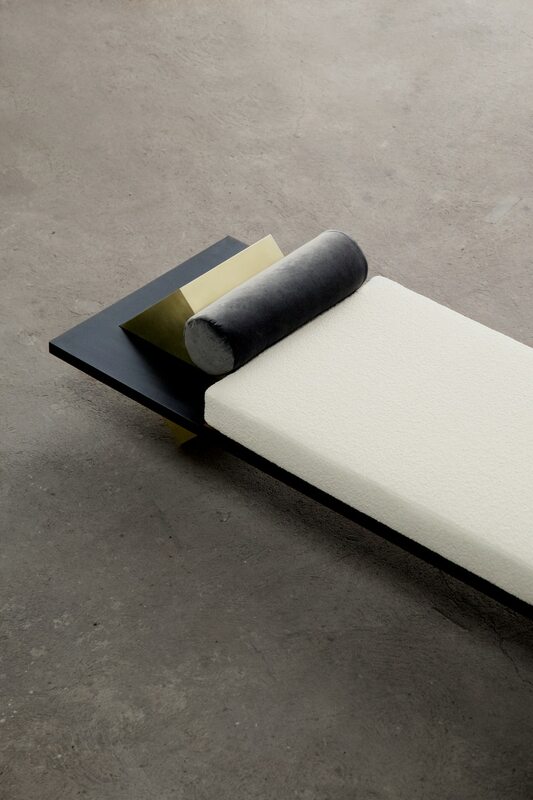 The mattress is upholstered with Karakorum Italian bouclé wool in Ivory.